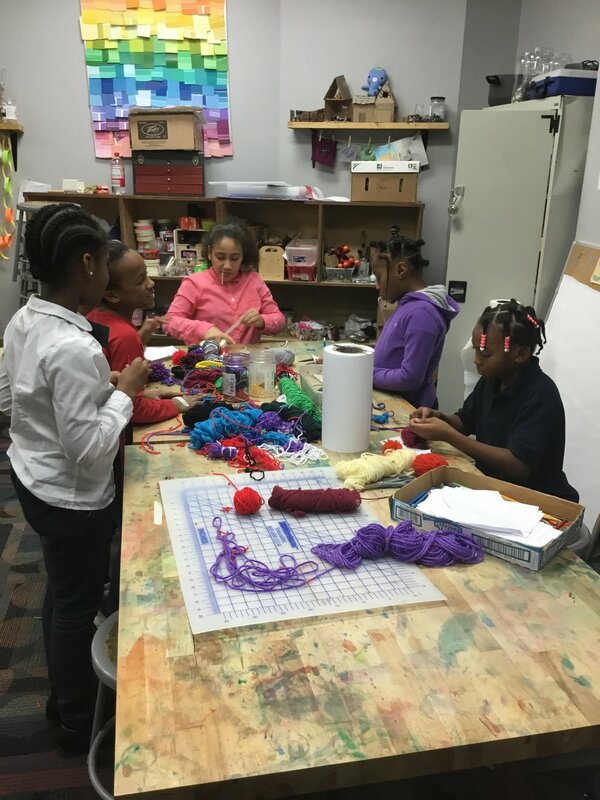 One of the most exciting programs going on at The Pittsburgh Project is the use of our makerspace known as The DREAMlab. In this space kids can explore, create, and experiment through projects based in science, technology, engineering, art, and math (STEAM). In the fall of 2016, The Pittsburgh Project proudly debuted The DREAMlab in collaboration with The Sprout Fund and The Children’s Museum. It was modeled after MAKESHOP, the makerspace at The Children’s Museum, which employs a hands-on, play-based learning approach to STEAM projects. I sat down with by Grey Toft, who designed and now runs The DREAMlab, to talk about how the makerspace impacts our kids at The Pittsburgh Project. KH: How did The DREAMlab start? Grey: It was started through the Sprout Fund and the Children’s Museum helped give us the bare bones for overall structure for the space and then I put a lot of work into making it a creative space. Originally it began with just 3rd through 5th graders, but we’ve expanded it to K through 2nd graders and middle schoolers on a more limited basis. 3rd through 5th grade still has the most access to the use of The DREAMlab. KH: How did you get involved with The DREAMlab? Grey: I was working at The Children’s Museum and they shared the position with me to work at The Pittsburgh Project. I was then mentored through their MAKESHOP and brought the same kind of philosophy to our makerspace. KH: What’s the philosophy of the makerspace? Grey: Well, our approach with The DREAMlab is low tech. A lot of people might think a makerspace involves high tech equipment like laser cutters, power saws, and things like that, but in reality, we like to approach materials in unexpected ways. Our focus is more on trial and error and problem-solving. KH: What projects do kids work on in the DREAMlab? Grey: We do a lot of sculptures using recycled materials, one of our favorites is the tiny house builds. We also do sewing by hand and with a machine, circuits using wood blocks, drawbots, introductory woodworking, and finger-knitting. KH: What makes it worth it to you to do this? Grey: As someone who likes making things I enjoy sharing that with kids. The DREAMlab is good for kids who can express themselves through creating when that’s not always readily available to them. It’s exciting to see them say, “I did this.” because it creates confidence and a sense of fulfillment. This is why the DREAMlab supports social and emotional learning, as well as the actual skills. The DREAMlab is currently looking for volunteers! If you have experience or interest in making, arts, fiber, woodworking, electronics, and education contact Grey Toft at rgreytoftpghproject@gmail.com. To see more projects created by our kids follow The DREAMlab on instagram and youtube.